Luis Civit is a Premier Spanish label from Barcelona designed and made with exceptional fabrics capturing a modern look with a European twist. As a premium stockist in Surrey we carry many of their beautiful outfits. It has everything any discerning Mother of the Bride or Groom could wish for. The Spring/Summer 2018 collection brings an unusual mix of fabrics and designs, something quite different to our other available collections, delicate lace in cream and golds or the classic navy and ivory pleated satin, there is sure to be something for everyone this season. 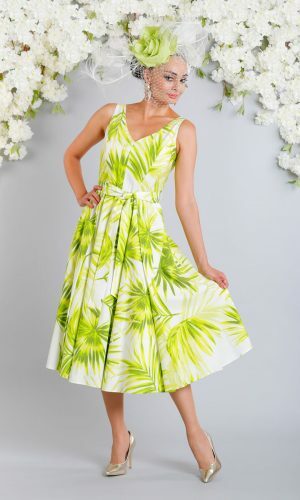 The quality of the designs and fabrics are second to none with what we believe is a very affordable price point within the occasion wear market. As with all our collections we have a fantastic selection of exclusive hats and headpieces to co-ordinate with these wonderful outfits. THE SPRING/SUMMER 2018 COLLECTION NOW IN STORE!